As a follow up to our productive AGM on October 11, 2017, we would like to invite you to provide your valuable input on ISPI Montreal’s 2018 year and future direction. This includes our event programming, sponsorship strategy and marketing strategy. We look forward to seeing you on Sunday, January 14, 2018 at 10:00 a.m. for our Kick-off and Planning Meeting. This event is free of charge. Please confirm your attendance by clicking here and registering in Event Brite. 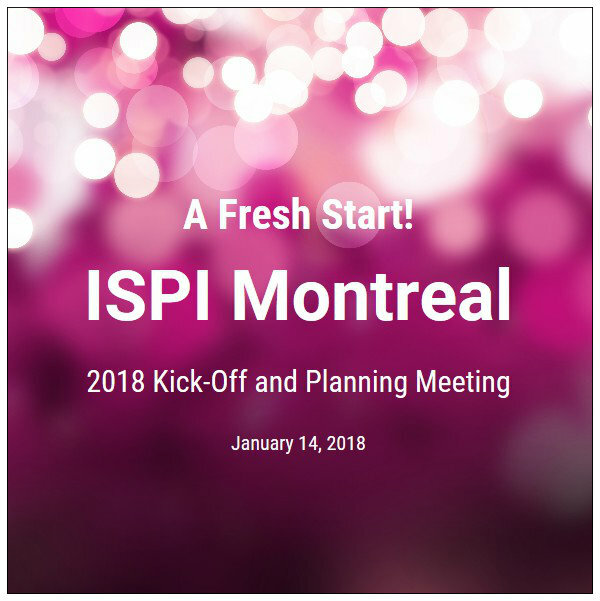 Join us and help make 2018 a great year for ISPI Montreal!